The Unilever brand celebrated body diversity with limited edition packaging, but many consumers were insulted, not inspired, by the "Real Beauty" message. Dove recently took its "Real Beauty" message to the packaging of its body wash, creating limited edition bottles representing various body types. But instead of inspiring consumers with a message about body diversity, many were offended. "I don't know about you, but I have never felt oppressed by the shape of my toiletry bottles—and I do not appreciate a company that so oversimplifies the complicated issue of how our society views women's bodies," wrote Kristen Bellstrom in Fortune's Broadsheet newsletter. Others took a more comedic approach to their attacks, comparing the curiously-shaped bottles to that of Mrs. Buttersworth and a few Mario Brothers characters on Twitter. Dove's intention, however, was to celebrate women's body diversity. "From curvaceous to slender, tall to petite, and whatever your skin colour, shoe size or hair type, beauty comes in a million different shapes and sizes," the Unilever-owned brand said on its UK website. "Our six exclusive bottle designs represent this diversity: just like women, we wanted to show that our iconic bottle can come in all shapes and sizes, too." Ogilvy London created the initiative and also produced an accompanying video. But many observers didn’t agree and took to social media to express their disappointment that the marketer overreached. Some even sarcastically pointed out that the bottles are all white and don't represent their skin color. Others joked about the fact the body-bottles didn't have arms and legs. Jezebel writer Aimée Lutkin went as far to say that "Dove is running out of ideas." Still, some Twitter users were dumbfounded by the backlash. 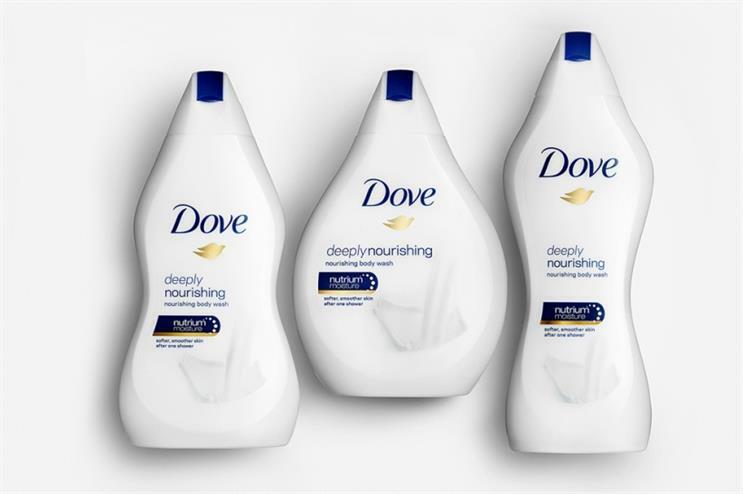 So people are complaining about @Dove Body shaped bottles...do people not have different body shapes? The pushback to Dove's body-shaped bottles caught me off guard. If I was in that ad agency, I'd be surprised by the reception. Dove and Ogilvy UK could not be reached for comment.